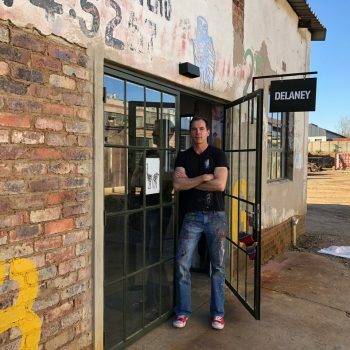 James Delaney is a contemporary painter, printmaker and sculptor who works from a studio in Victoria Yards, near downtown Johannesburg, South Africa. 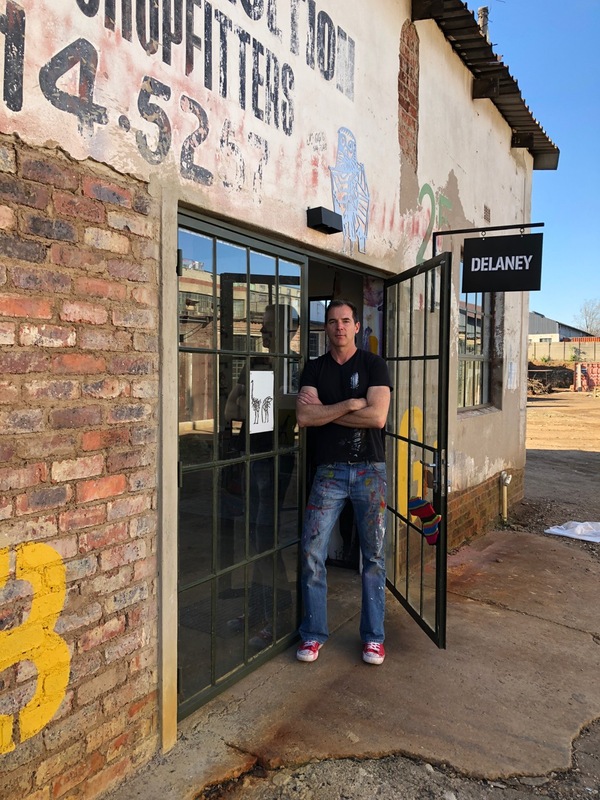 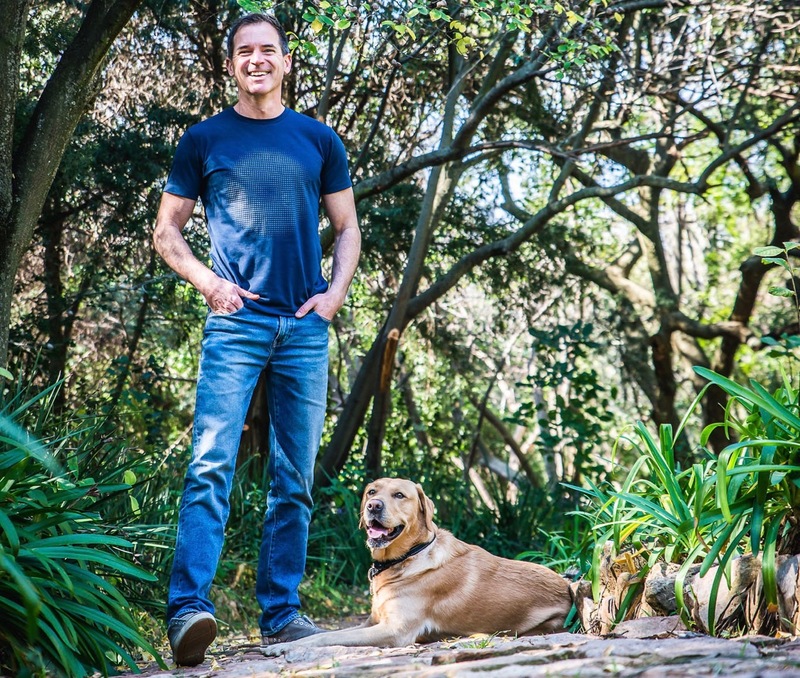 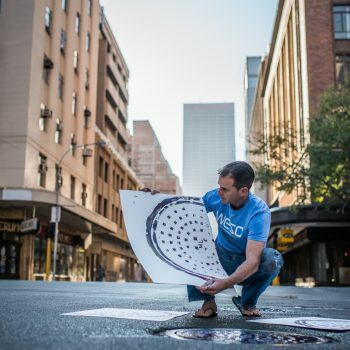 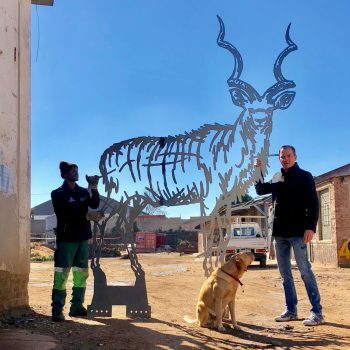 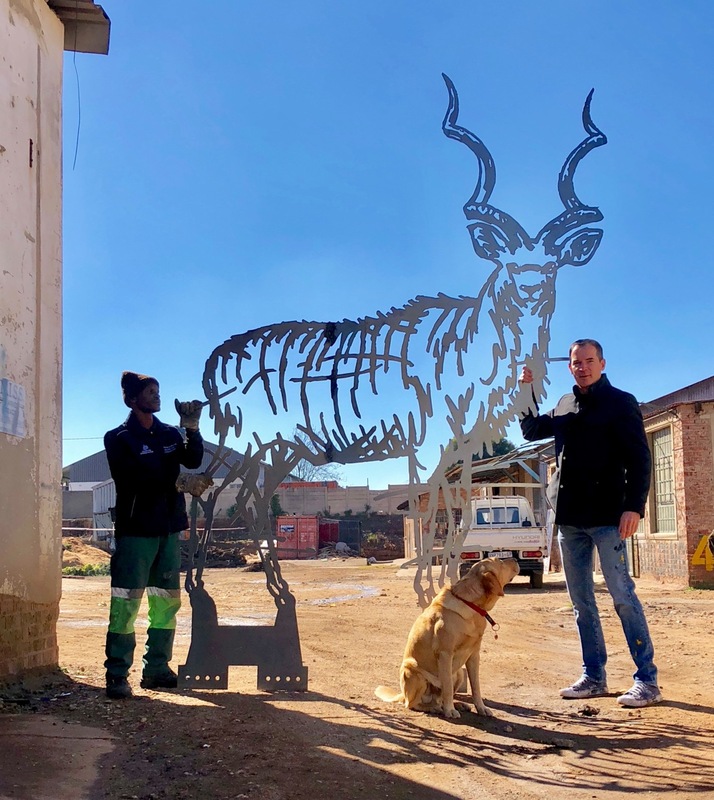 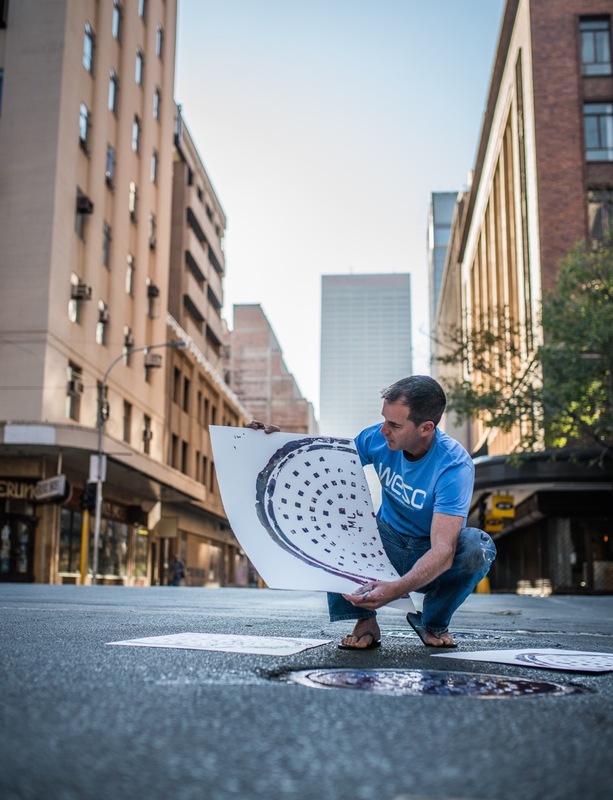 He recently won a BASA (Business Arts South Africa) Award for his sculptures installed in The Wilds, a previously neglected park on the edge of downtown Johannesburg which he has rehabilitated. 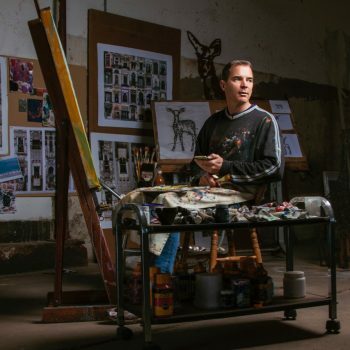 He was born in Cape Town in 1971 and studied in Grahamstown and Cape Town, South Africa. 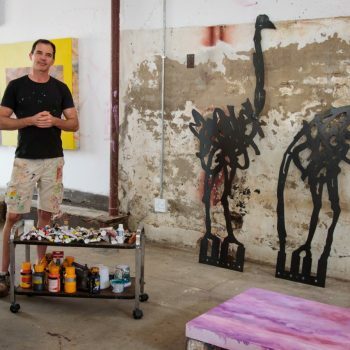 He has held eight solo exhibitions and participated in many group shows, in Johannesburg, Cape Town, Philadelphia and New York. 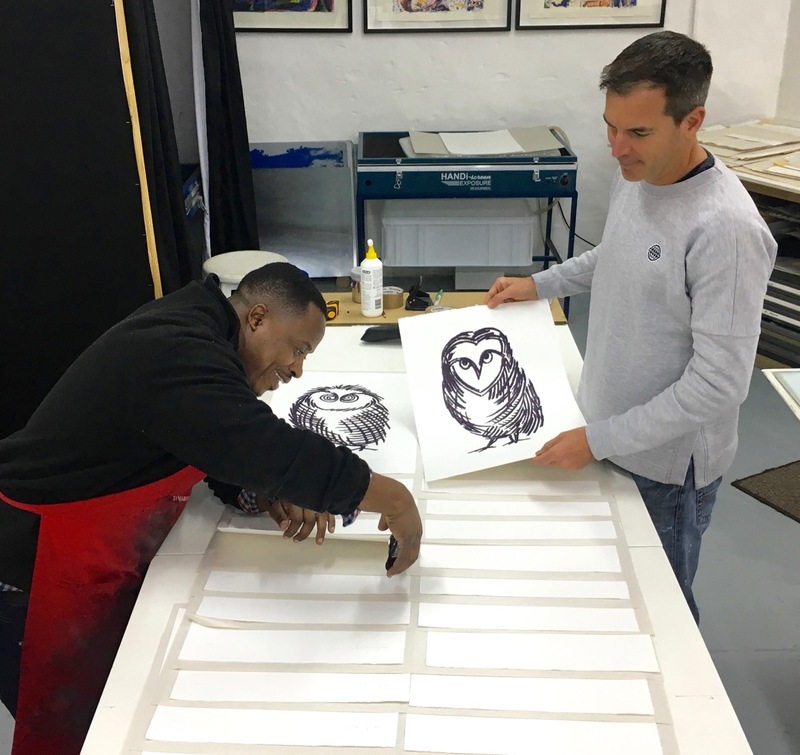 His work is in collections including Merrill Lynch Bank of America, the Constitutional Court of South Africa and the City of Johannesburg. 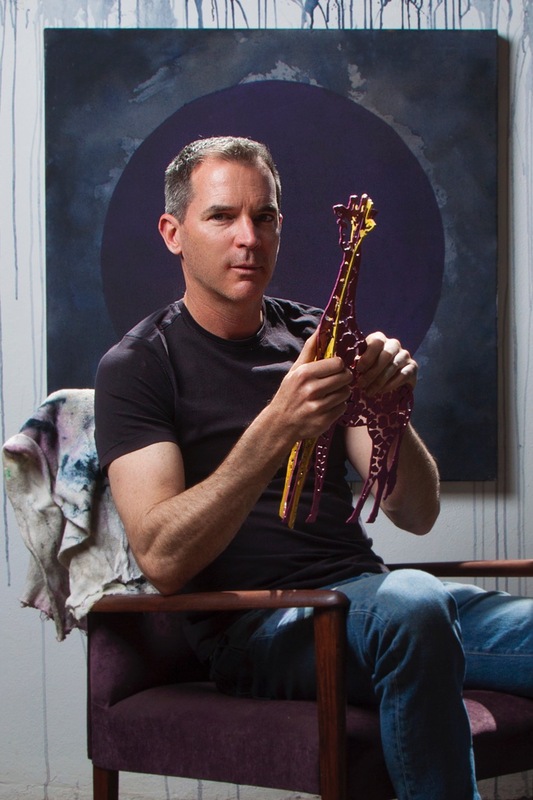 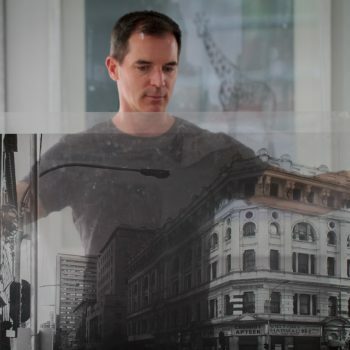 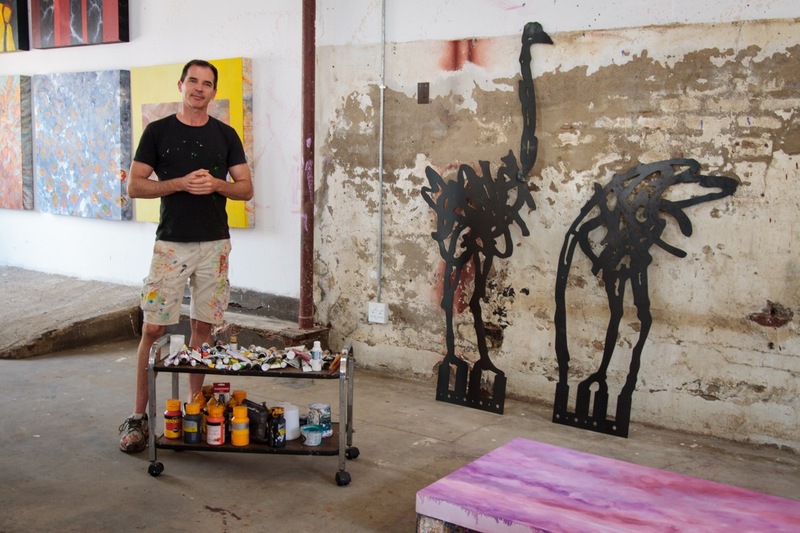 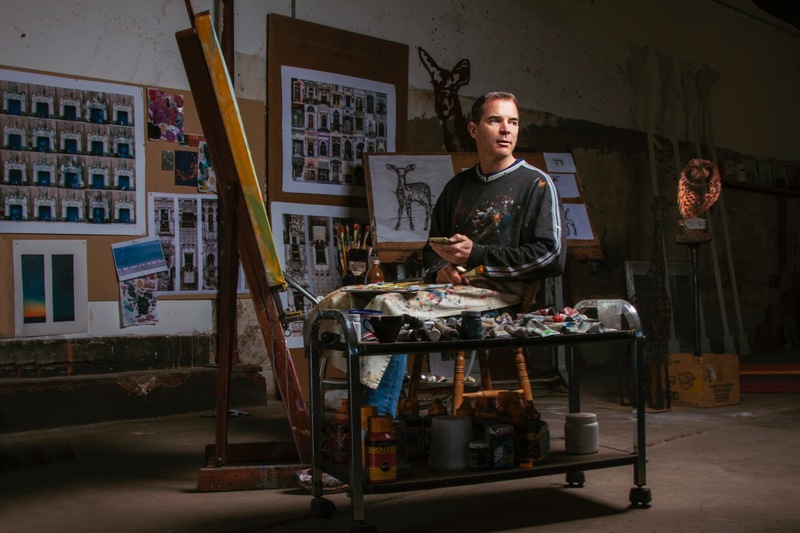 He is well known for his fascination with downtown and historic Johannesburg, which features often in his work. 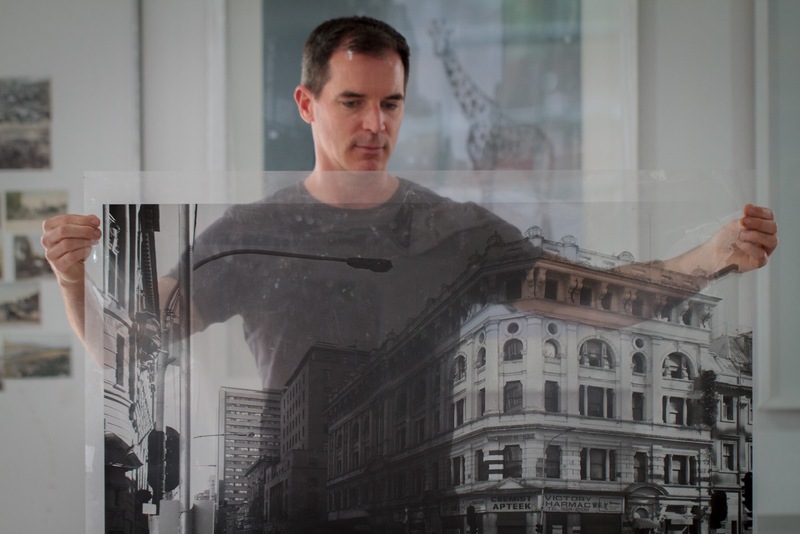 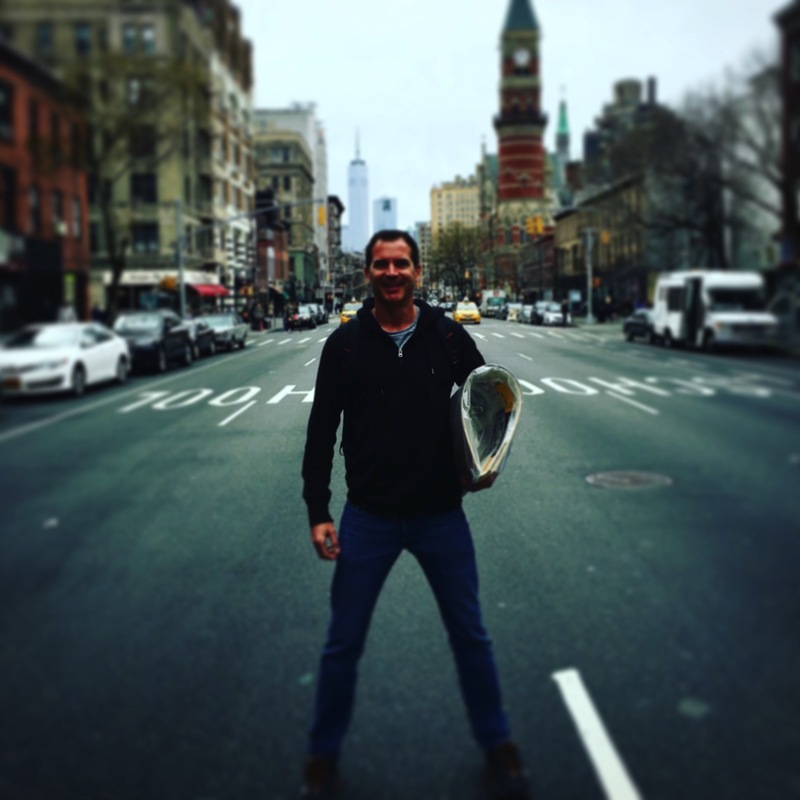 He has a deep knowledge of the city’s architectural, political and artistic history. 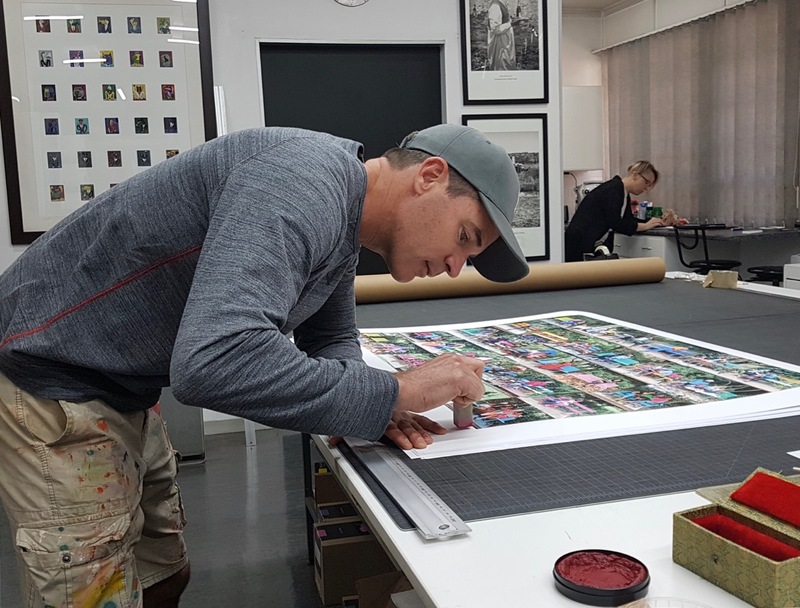 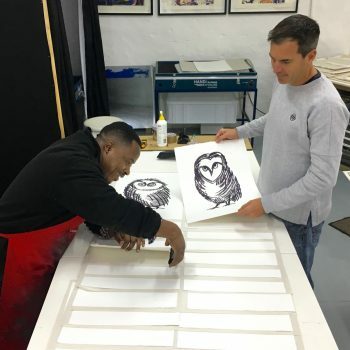 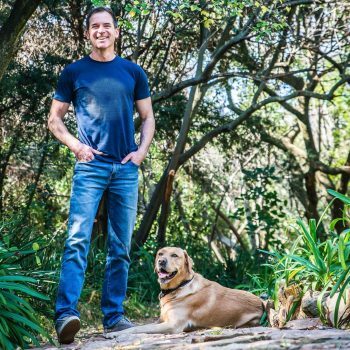 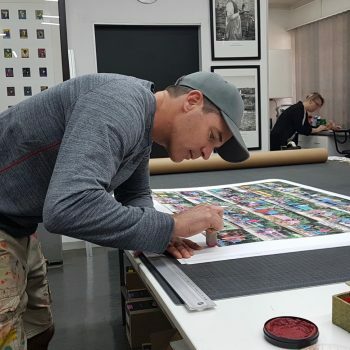 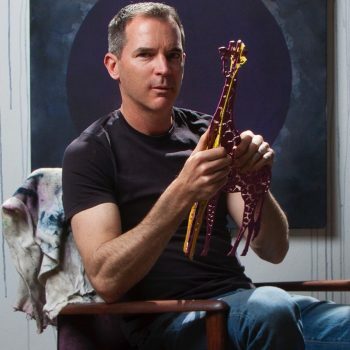 His interest in printmaking has led him to collaborations with various printmakers, including LL Editions, The Artist’s Press and Artist’s Proof Studio, and Robert Blackburn Print Workshop in New York. 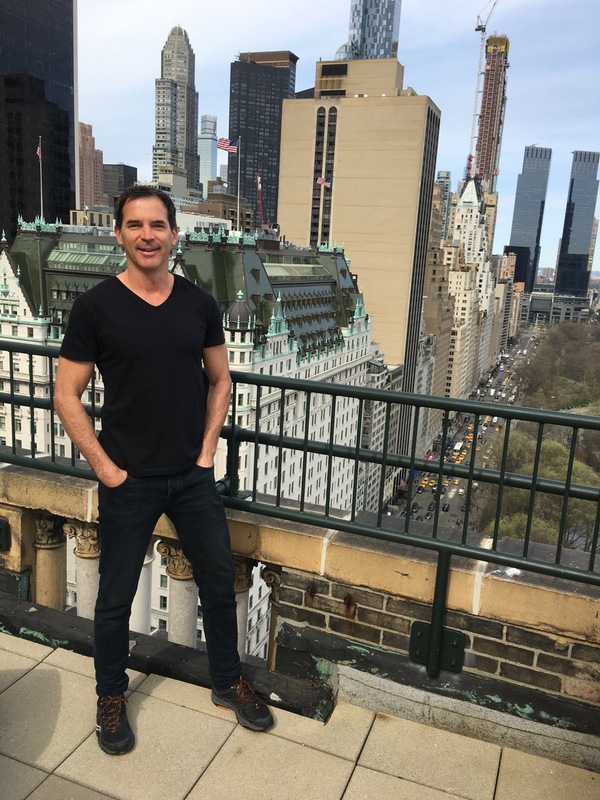 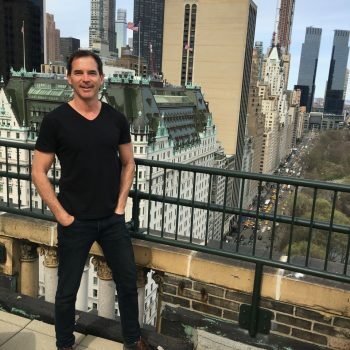 He works in New York each year.